Is “purchase a property in Cyprus” on your list of New Year’s resolutions? If the prospect of winter sun doesn’t get you booking a viewing trip, the chance to protect your EU rights by buying in 2018 just might! Is 2018 going to be the year you buy a home in the Cypriot sun? 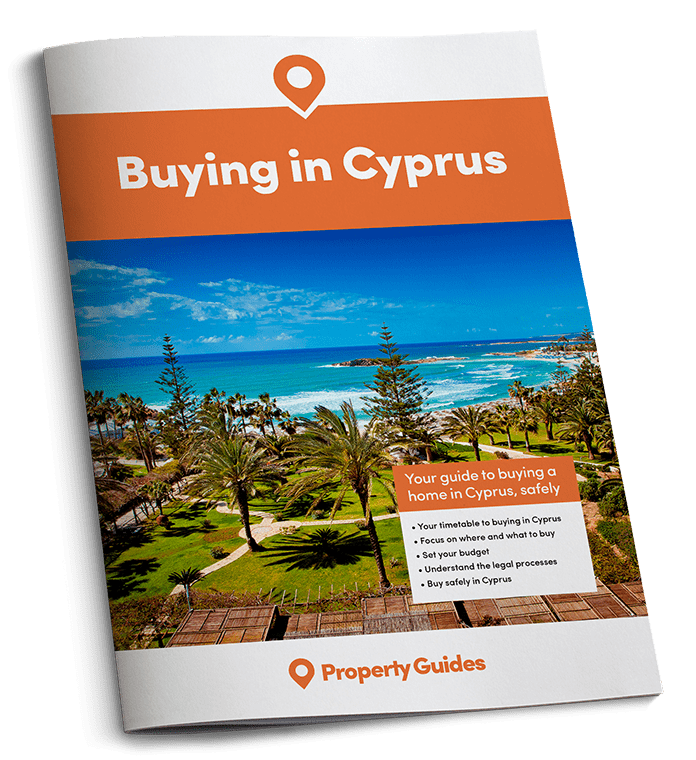 If you still need a little persuading to book a viewing trip to the island, we’ve compiled a compelling list of reasons why you should buy in Cyprus in the coming 12 months, covering everything from Brexit to beaches. You can move to Europe, with all your health and pension rights protected, forever. • British people living in the EU will continue to have the same rights as now, so long as they live there before the UK exits, presumably in March 2019. • That includes workers, the self-employed, students, the retired and the “economically inactive” of any age. • Your right to free or subsidised healthcare will be protected in the EU, for as long as you live there. • For their entire lifetime, British citizens living in the EU will be able to have family members join them. That includes spouses, parents, grandparents, children and grandchildren. • British people living in EU countries may in the future bring a spouse to live with them from the UK. • Your rights to social security, health, education, higher education, employment and running a business will also continue just as if you are an EU citizen. You cannot be discriminated against in any way. • There will be simple, free and streamlined procedures for claiming residency in EU countries. Countries will be “flexible” in assessing your evidence. • You can leave the EU country for up to five years and move back without losing your EU rights. • It does not specify whether British citizens may move from one EU state to another and retain the same rights. • There may be checks of criminal records. Cyprus has been divided since 1974. After more than four decades of frozen conflict the island remains divided in two: the Greek Cypriot south and the Turkish north. Despite the most recent reunification talks breaking down in July, hopes are high they can be resurrected as soon as February, following the presidential elections in the south. 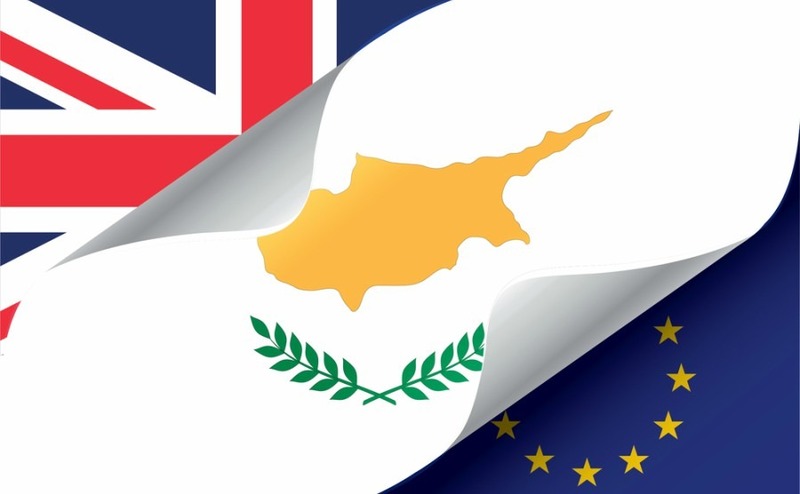 A united Cyprus would unlock the north of the island for overseas property buyers, both in terms of their right to ownership and accessing it in the first place. On a Christmas property viewing trip you can visit the remains of homes in Cyprus that were already hundreds of years old when Jesus was born. But after doing the archaeological sites, you won’t be short of something a little more contemporary to view. During the first nine months of this year, 3,143 new home building permits were issued, an increase of 35% compared to last year. Over a third, 1,247 new homes, are being constructed in Limassol, 912 in Nicosia, 555 in Paphos, 491 in Larnaca and 208 in Famagusta. 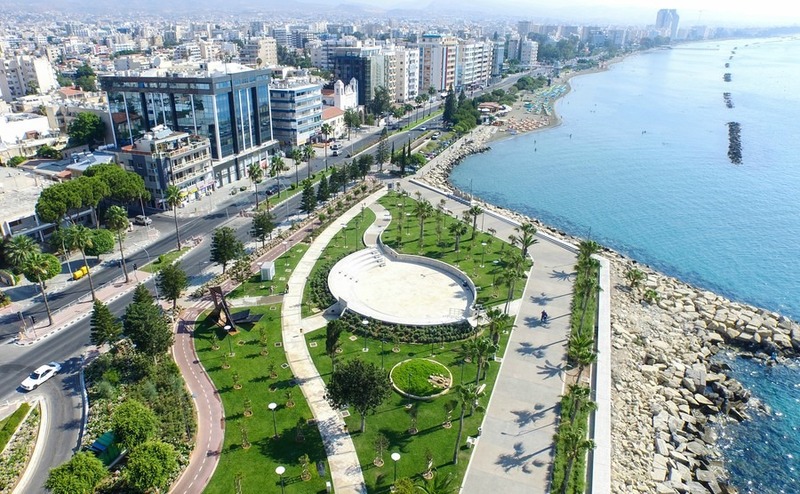 The port town of Limassol is enjoying a facelift of grand proportions. With several high-rise residential developments on the way up and first-class facilities such as a new marina, it is being compared to Dubai. In many ways it’s more convenient than Dubai, however. Cyprus is where Europe and the Middle East merge, just three hours from Moscow and with a fabulous winter climate. With buildings like Limassol One and Lanitis Seafront – both of 37 floors – adding to that sparkling high-rise skyline, it is attracting plenty of well-heeled Russian and Asian buyers. Paphos’s stint as European Capital of Culture is almost up, but long after the curtain comes down on the year-long celebration of local history, dance, art, theatre and music, the impact of the financial investment will continue. More than €25 million has been spent on infrastructure projects with public squares, archaeological sites, the old commercial centre and roads all being renewed. Getting to Cyprus in both summer and winter has always been easier than to most Mediterranean islands, and it’s getting even easier. There will be new services from UK airports in 2018 from Cobalt Air and Jet2.com. Anyone buying a property in Cyprus in 2018 won’t have to pay the Cypriot Immovable Property Tax, after it was abolished earlier this year. It’s not often you get good news about paying taxes, but anyone buying a property in Cyprus in 2018 won’t be stung by the Cypriot Immovable Property Tax, after it was abolished earlier this year. This tax, which consisted of nine brackets of annual rates based on the value of the property, has been completely removed in favour of a less complex system. This maintains Cyprus’s growing reputation for straightforward tax laws that promote transparency. In all the excitement about taxes and planning permissions we almost forgot two of the island’s greatest benefits: 49 pristine Blue Flag beaches and 340 days of sunshine per year. A pleasant thought as you slip and slide along the UK’s frozen pavements on your way to work! 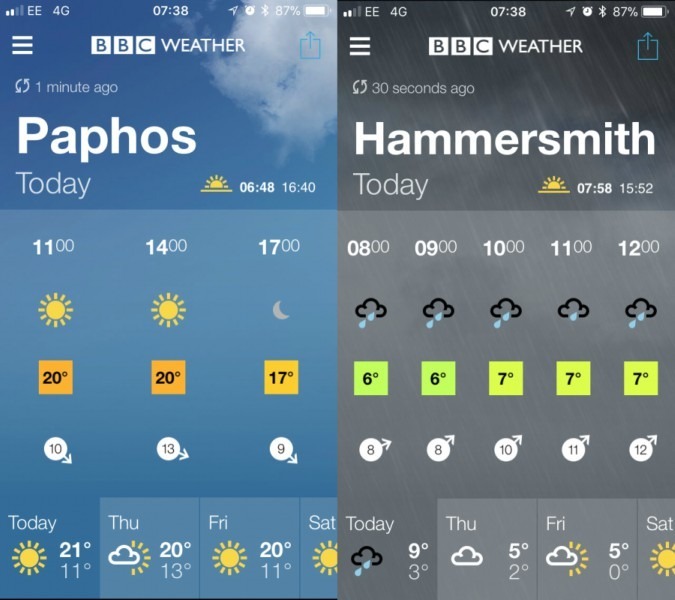 Note, from the images below, how in the depths of winter Cyprus gets two extra hours of daylight (sunshine). Record tourism figures in 2016, when 3.2 million visitors headed for Cypriot shores, are predicted to be surpassed once the bells finally toll on 2017. This isn’t just good news for hoteliers, restaurant owners and ice cream sellers. Anyone hoping their property will pay for itself in the rental market can rely on a steady stream of tourists. With the rise of easy-to-use sites such as Airbnb you should have no trouble attracting guests to your beautiful home. • Limassol Carnival, 15th to 21st February: the island’s liveliest carnival consists of a week of exhibits, masqued balls, serenades and parades with floats and parties. • 2018 Cyprus Film Days International Film Festival, 19th to 28th April: the island’s most prestigious film festival takes place at Limassol’s Rialto Theatre and at Nicosia’s Zena Palace Cinema. • Events at the Kourion amphitheatre the annual performance of a Shakespeare play, by locally based actors, takes place during late June. • Limassol Wine Festival, 31st August to 10th September: running since 1961 in Limassol’s municipal gardens, visitors can enjoy folk music and dance events as they sip local wine.